Father's Day already! 2011 is whizzing by!! I've rounded up a few of my "bookmarked" ideas I've come across...as always, my favorites are easy do it yourself and practically FREE ideas! Handprint in a handprint in a handprint in a...you get the point! Tres French Hens tells you how to do this one. Breakfast in Bed? Go to 733 blog and print one out for free and let dad fill it out. Maybe do this one a day or so in advance, so you have time to go to store for any ingredients not already on hand! 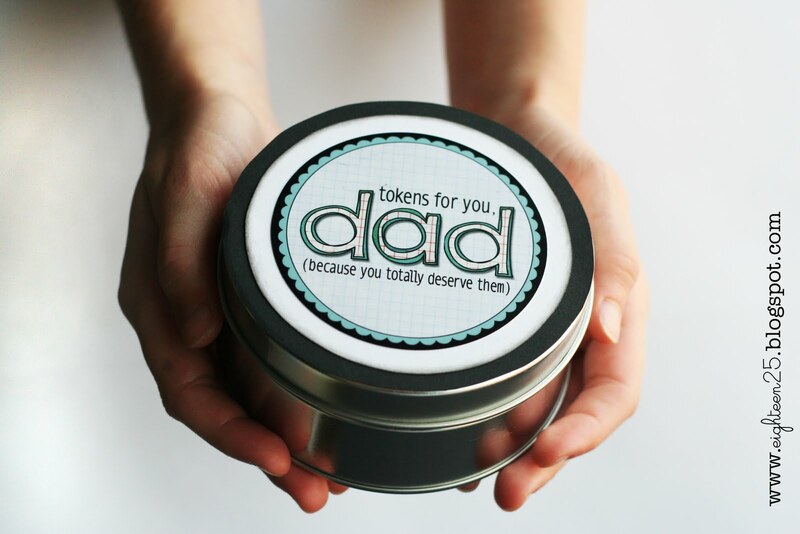 Eighteen 25 has a great tutorial for Tokens for Dad along with a FREE printable. 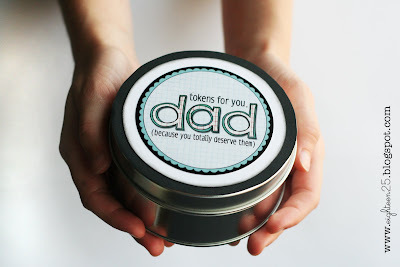 AWESOME dad printable and tutorial at Nothing but Country. Let the kids fill out these "all about my Dad" forms from Allison Waken for a sweet (maybe humorous) gift!